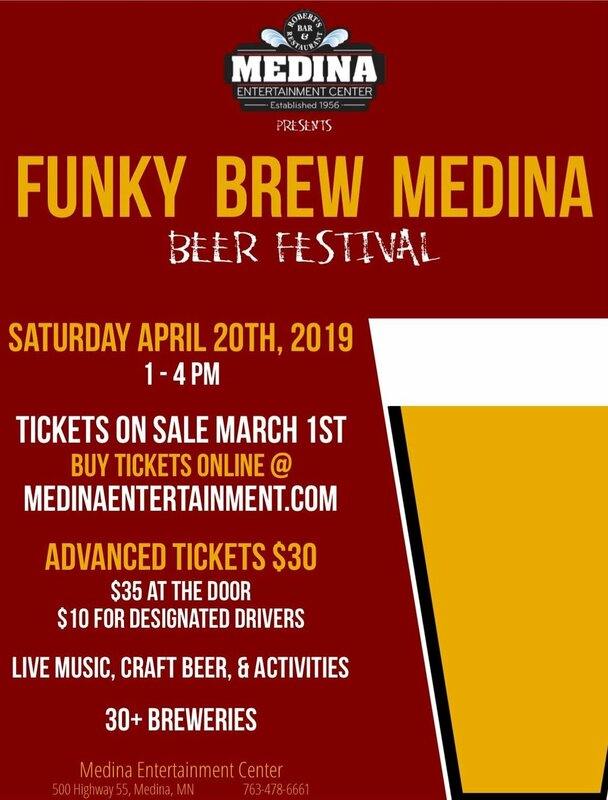 The 1st Annual Funky Brew Medina Beer Festival will be held in our Ballroom event space on Saturday, April 20th 2019 from 1-4 PM. We will have beer samplings from 30+ breweries! During the event time there will be live music and other activities to occupy your time!! Food from Robert’s Bar & Restaurant will be available for purchase. Tickets will go on sale Friday March 1st @ 11AM. Advance Tickets: $30 plus tax/fees. Designated Driver Tickets: $10 plus tax/fees. Day of Event Tickets: $35 plus tax/fees.